You follow all the current advice - you're on social media, you get published, you network, you spend tons on advertising - and somehow your competition still is still getting ahead while you're struggling. Are you unsure what to do next with your marketing? It's time to jumpstart your marketing. Drill down to the brass tacks and build a solid foundation with good, old-fashioned market research. 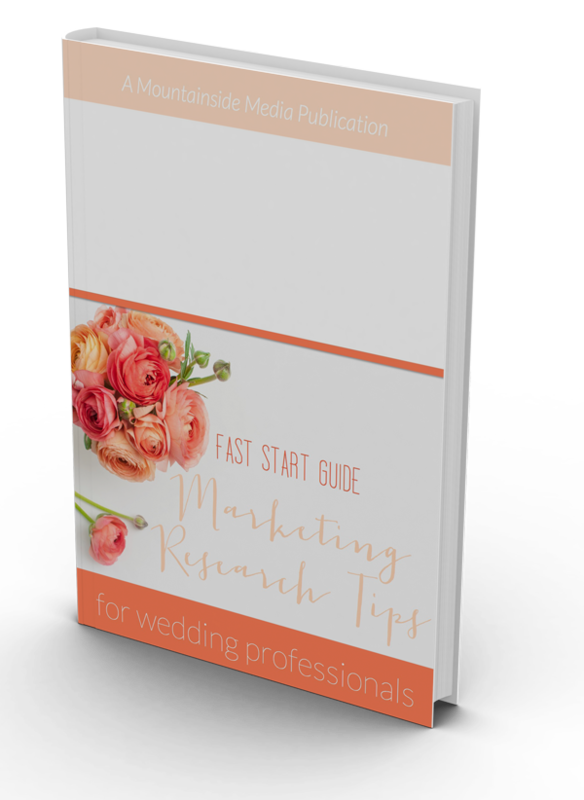 This Fast Start Guide to Market Research will show you how to find the perfect client who will pay you what you're worth, find out where brides are hanging out online, and spy on your competition. Find out who you should be marketing to and where they're hanging out online.